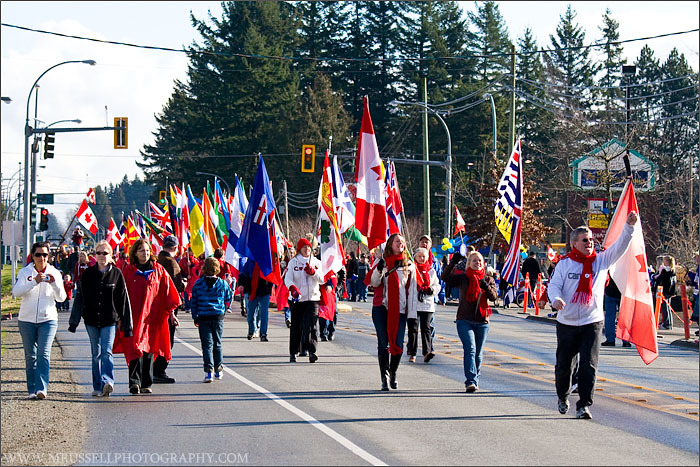 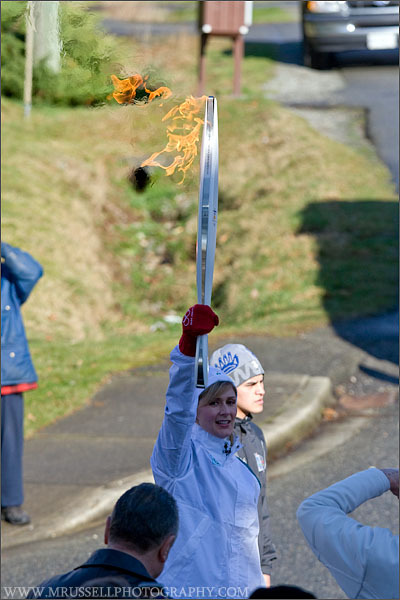 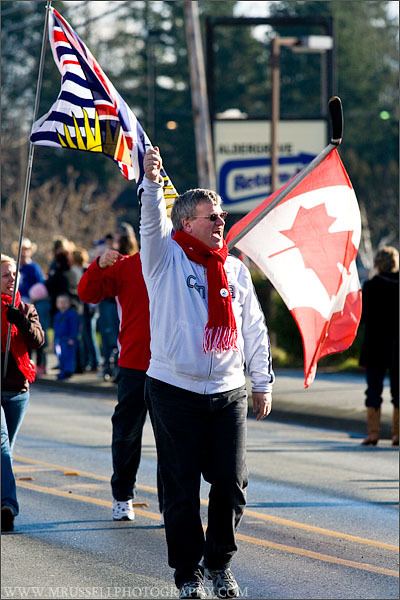 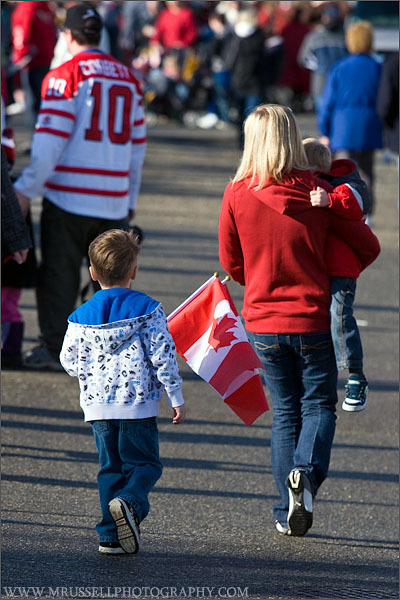 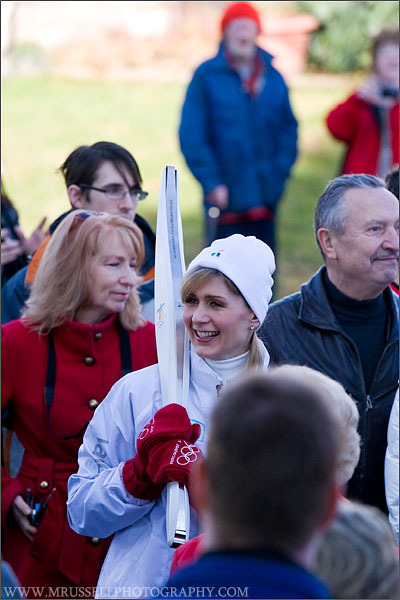 Had the opportunity today to photograph the 2010 Olympic Torch Relay in Aldergrove, BC.. 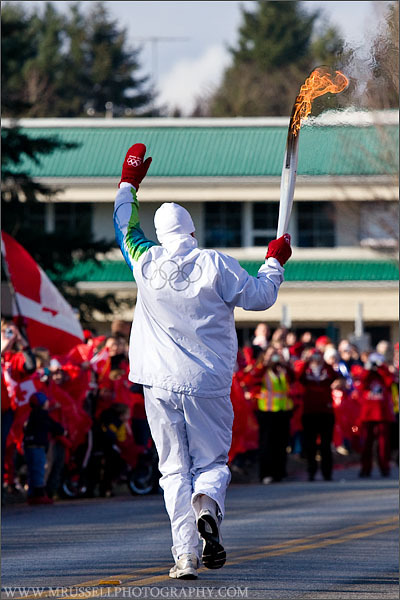 There hasn’t been a torch relay through here since the 1988 Calgary Olympics and I don’t remember all that much about the brief glimpse I saw of them running by in the dark 22 years ago. 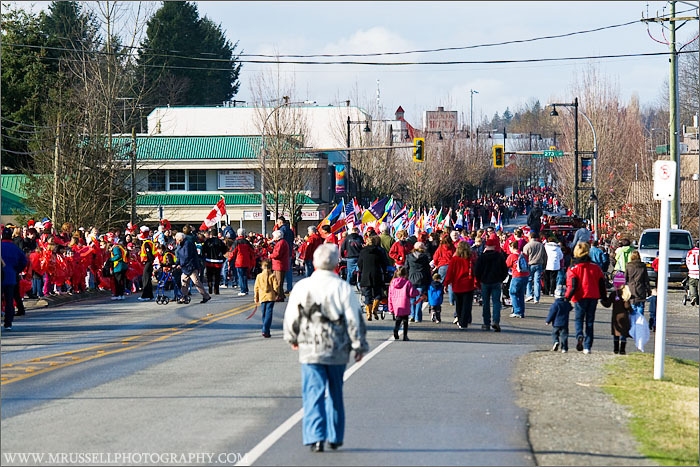 However, I had the perfect lens for this and Aldergrove is not one of the centres where I expected a ton of people to show up. 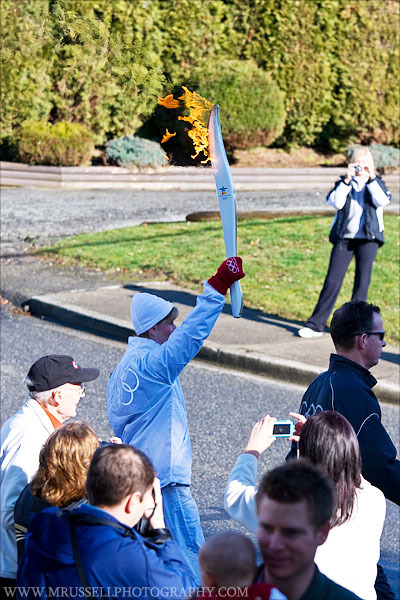 I also studied the route map so that I could get in and out fairly quickly – and even catch the torch twice on its Aldergrove journey. 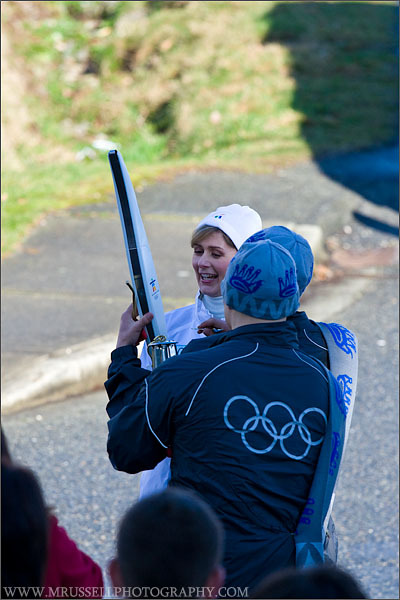 Initially I had picked a spot along the route that apparently was well before the actual start point. 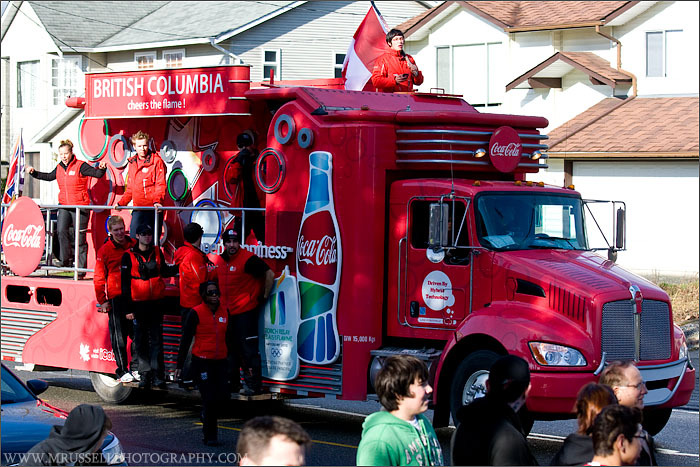 This resulted in some quick running down the street as all the official torch relay trucks/support vehicles sailed on by. 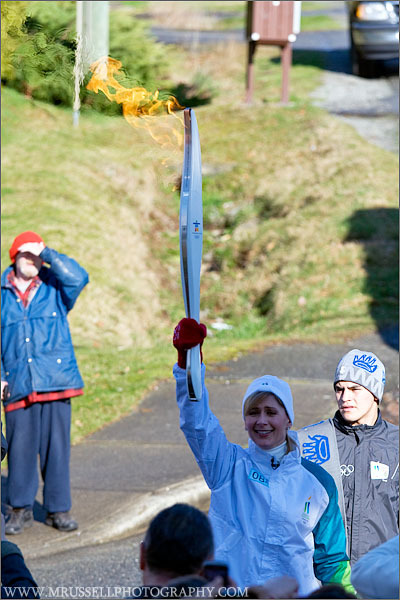 This did allow me to watch the torch being lit for this leg of its journey, however. 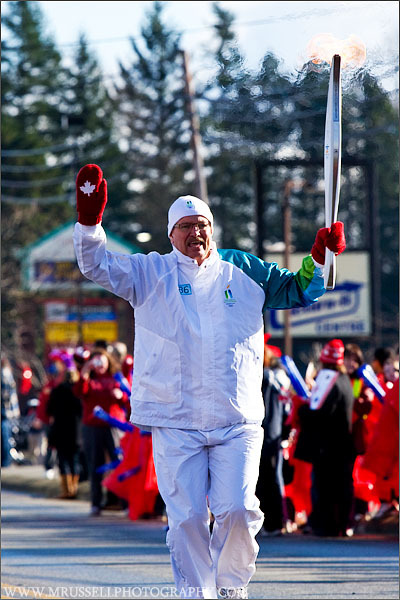 The torch is not run throughout the whole route – it gets a ride in one of the support motorhomes. 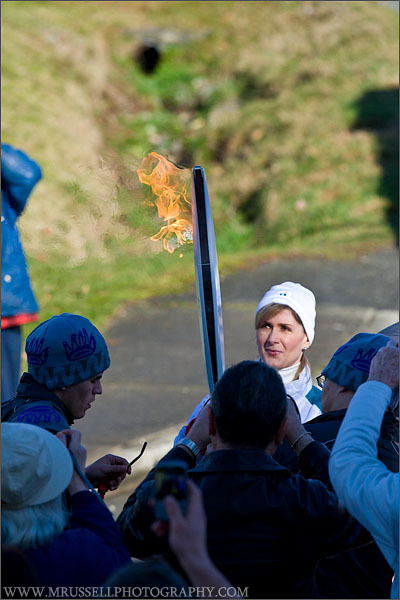 In the photos below you can see the small thermos sized lantern that carries the flame the rest of the time. 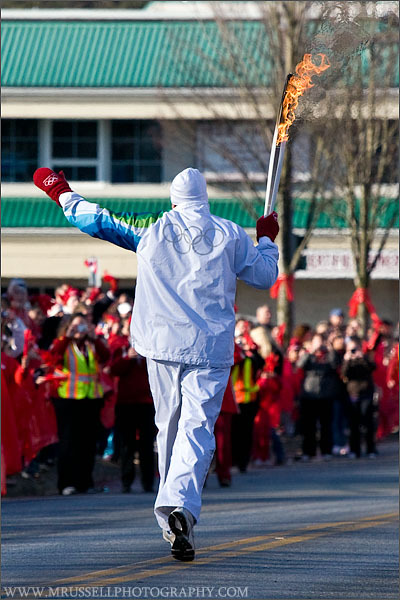 At this point I was able to turn and run through an apartment complex parking lot to Fraser Highway where the torch came around the corner and passed me again. 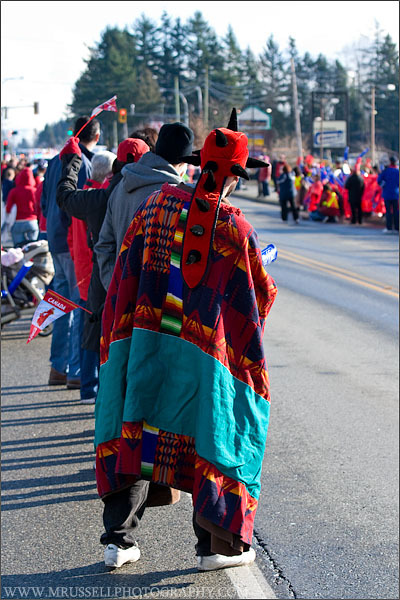 The highway was lined with a lot of people wearing red, and school children in red ponchos. 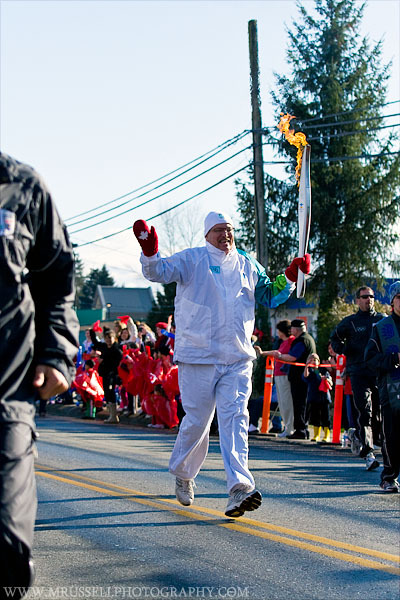 I have no idea what this guy was wearing but it looked interesting. 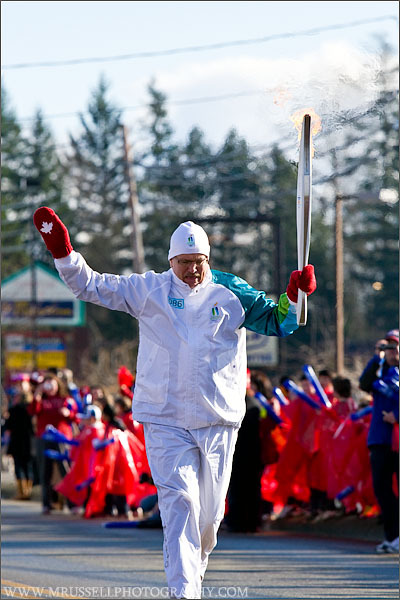 This time we have a new Torch Bearer – Keary Bott. 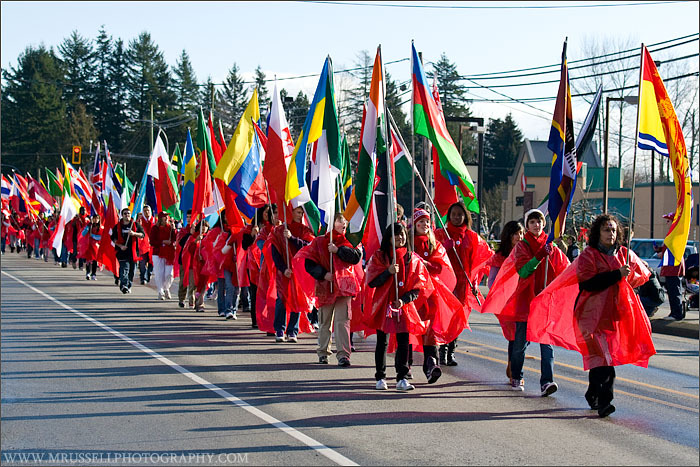 The torch was followed by a school group with flags of the participating countries. 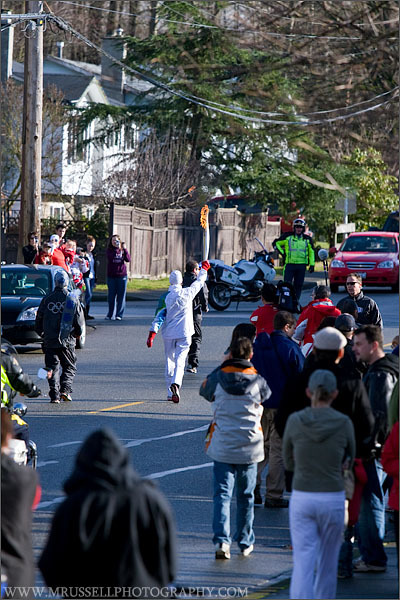 Further down the route towards 272nd Street there was a stage setup. 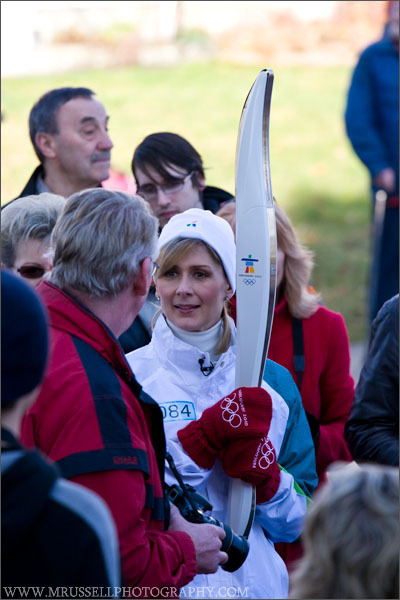 Im glad I was able to avoid these crowds – I had enough issues with heads in the way when there were only dozens of people around the torch!